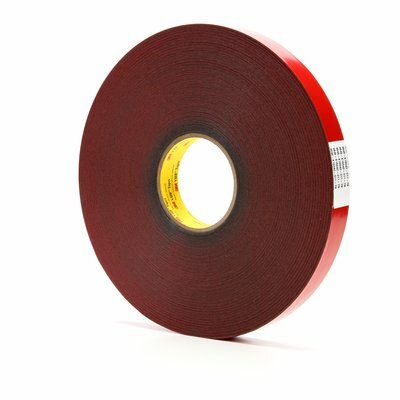 Dream, Design, Deliver with our 3M™ VHB™ Tape 4646. It is a dark gray, 0.025 in (0.6 mm), general purpose adhesive with firm foam that has the added feature of high temperature resistance. The fast and easy to use permanent bonding method provides high strength and long-term durability. It offers design flexibility with its viscoelasticity and powerful ability to bond to a variety of surfaces.